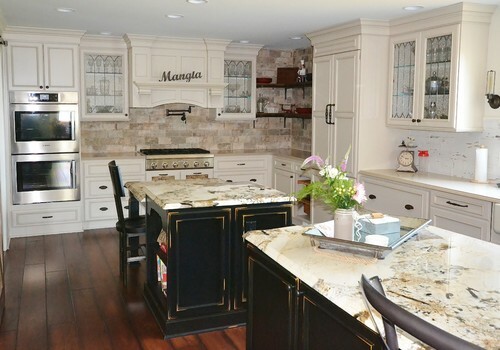 West Chester kitchen remodel using Fieldstone Cabinets designed by Rich Love at Chester County Kitchen & Bath. This kitchen was a total redesign combining the original kitchen space with the original dining room creating a new expansive kitchen area. 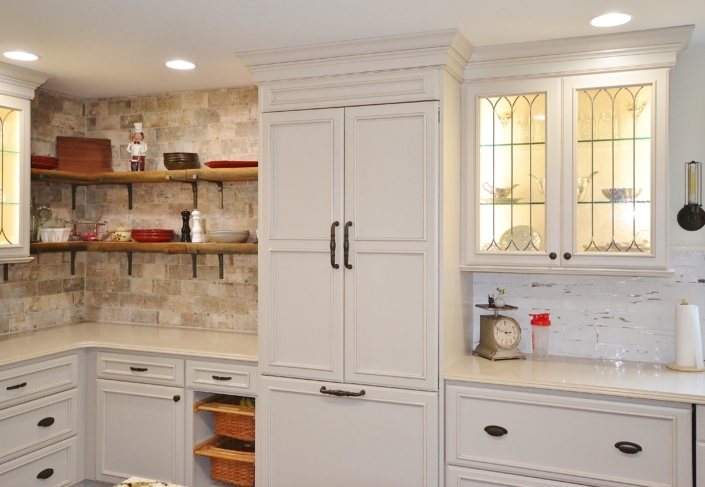 The perimeter cabinetry is in the Harbor door style in Mushroom painted finish with a hand applied latte glaze. The two islands were designed in the same door style in Amaretto; one of Fieldstone’s specialty finishes. 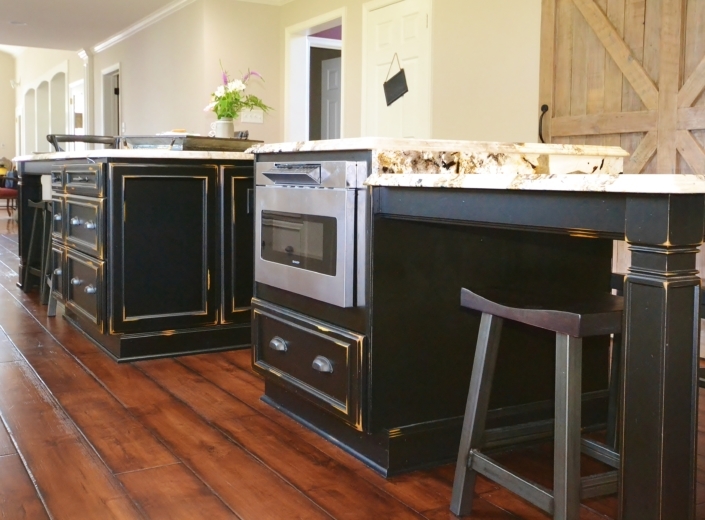 A great new wood hood by Stanisci Design was used for over the new Thermador gas pro cooktop. 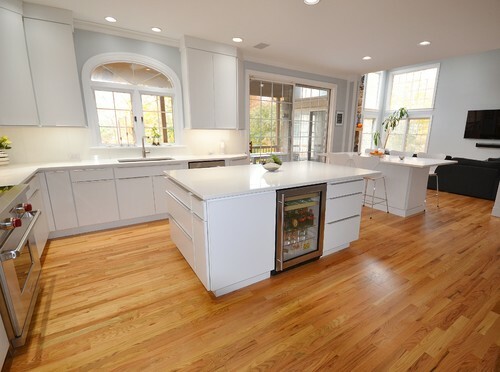 The new fridge was paneled with matching cabinetry so it would blend in to the beautiful surrounding cabinetry. Specialty leaded glass doors with interior lighting makes the wall cabinetry pop. Plenty of storage and countertop space for prepping dinners or for entertaining was the goal and I think we scored. 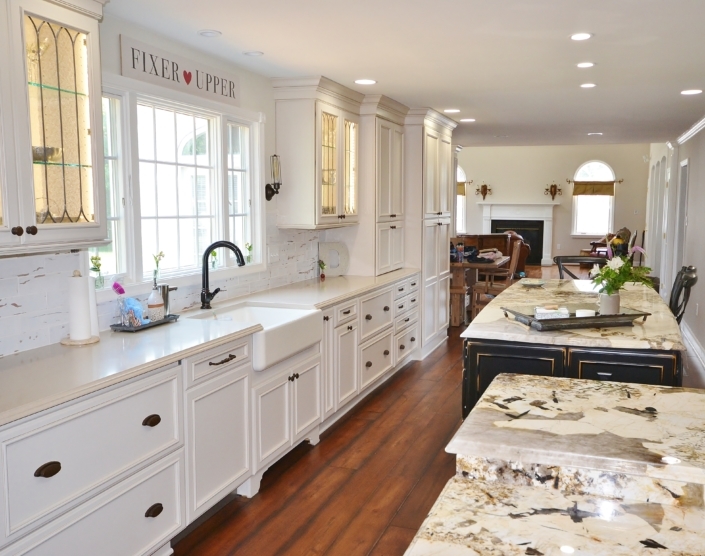 The cabinetry and design along with the clients other awesome material and finish selections turned this kitchen into a beautiful new space that the clients will enjoy for years to come.